We have received wonderful feedback from parents about our Sing & Grow group program which has just finished at our Newtown centre. 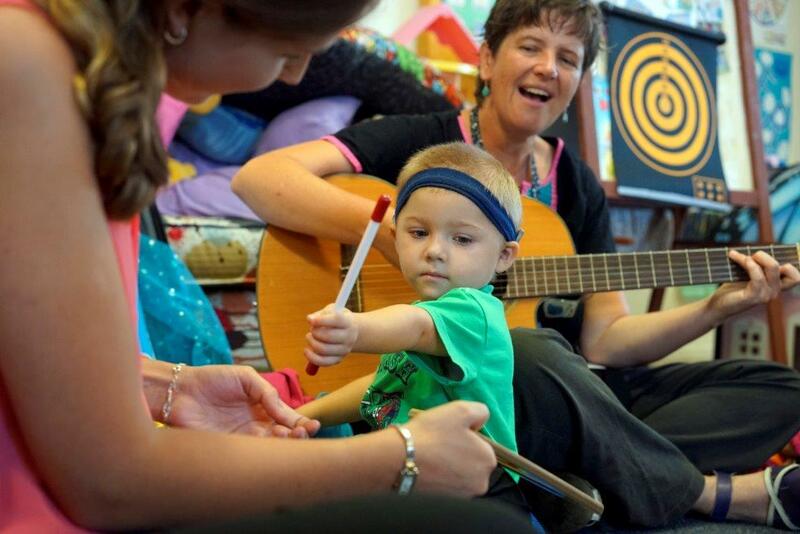 Sing & Grow is a music therapy project from Queensland Playgroup that uses music to help develop children’s listening, language and speech skills, as well as boost relationships within families and between parents and children. Over the course of the program children build these skills by playing musical instruments (such as tambourines, rattles and lollipop drums) and singing nursery rhymes with their parents. Parents also have the chance to connect and form social support networks with one another. Sing & Grow is delivered through peer learning and facilitated learning which enables parents to continue their child’s development via music at home, using both structured (singing) and unstructured (playing instruments) musical expression.